Professor Lowe is the leading expert in international family law. He joins Chambers as a consultant, primarily in international, but also domestic matters, assisting members of chambers in all aspects of private international law concerning children, including relocation disputes, child abduction and forum disputes. He has written extensively and has given numerous papers both nationally and internationally on these subjects and been involved with many cases in related areas, including the drafting of skeleton arguments for appeals and High Court cases. 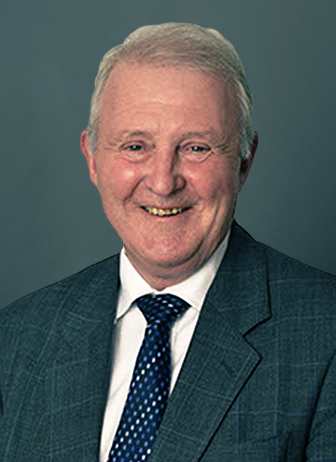 Professor Lowe has a particular interest in and has helped develop the law of Hague Convention abduction cases as well as those involving non-convention countries and relocation disputes generally. Acting as a consultant in complex cases being led by other members of chambers, he is able to assist in resolving international disputes and to provide an expert and authoritative opinion in such matters or to provide assistance to foreign courts applying or requiring evidence of English domestic law in family cases concerning children. Professor Lowe has been a Professor of Law at Cardiff Law School since 1991 and was Head of School from 2010 until 2013. He retired from the University in October 2014. In April 2015 he was appointed to the panel of experts to advise the EU Commission on the revision of the Brussels II Revised Regulation. He is the co-author of the leading text, Lowe and Douglas ‘Bromley’s Family Law’ and Lowe, Everall and Nicholls ‘International Movement of Children’. Together with Michael Nicholls, Professor Lowe recently published a book on ‘The 1996 Hague Convention on the Protection of Children’. Professor Lowe is a consultant to the Permanent Bureau of the Hague Conference on Private International Law and the Council of Europe. He is a member of the UK’s International Family Law Committee and of the Executive Committee of the International Society of Family Law (being a sometime Vice President). Professor Lowe is a member of the Organising Committee of the Commission on European Family Law and is an advisory board member of the US–based International Centre for Missing and Exploited Children. He is a Dartington Research Fellow and was a former Chairman of the Legal Group of the British Agencies for Adoption and Fostering. He is an editor of Clarke Hall & Morrison on Children, an editor of Family Law Reports, a consultant editor of International Family Law and he is a member of the editorial boards of The Child and Family Law Quarterly and Fam RZ. Together with Victoria Stephens, he has completed (August 2012) a report ‘The Timing of 1980 Hague Abduction Convention Applications; the 2011 Findings’ which was a project funded by the Nuffield Foundation. They also presented A Statistical Analysis of Applications Made in 2008 Under the Hague Convention of 25 October 1980 on the Civil Aspects of International Child Abduction at the 6th Special Commission to review the operation of the 1980 Convention held at The Hague in June 2011 (a report is available on The Hague web-site). In 2009, he presented a report A Study into the Rights and Legal Status of Children Being Brought up in Various Forms of Marital and Non-Marital Partnerships and Cohabitation to the Council of Europe in Strasburg and subsequently became the legal consultant to the working party appointed to make recommendations to the Council following on from the report. He is currently working on a long-standing project with the Commission on European Family Law on Property Relations between Spouses. Lowe, N. V. 2012. Inherently disposed to protect children – the continuing role of wardship. In: Probert, R. and Barton, C. eds. Fifty Years in Family Law: Essays for Stephen Cretney. Antwerpen: Intersentia, pp. 161-173. Lowe, N. V. and Stephens, V. H. 2012. Global trends in the operation of the 1980 Hague Abduction Convention. Family Law Quarterly 46(1), pp. 41-85. Lowe, N. V. 2011. Working towards a European concept of legal parenthood. In: Buchler, A. and Muller-Chen, M. eds. Private law : National, Global, Comparative : Festschrift für Ingeborg Schwenzer zum 60. Geburtstag, Vol. 2. Bern: Stämpfli Verlag AG , pp. 1105-1124. Lowe, N. V. 2011. J v C  AC 668. J v C: placing the child’s welfare centre stage. In: Gilmore, S., Herring, J. and Probert, R. eds. Landmark Cases in Family Law. Oxford: Hart Publishing, pp. 27-45. Lowe, N. V. and Cobley, C. 2011. The statutory “threshold” under Section 31 of the Children Act 1989 – time to take stock. Law Quarterly Review 127, pp. 396-422. Lowe, N. V. 2009. Where in the world is international family law going next?. In: Douglas, G. F. and Lowe, N. V. eds. The Continuing Evolution of Family Law. Bristol: Family Law, pp. 261-291.